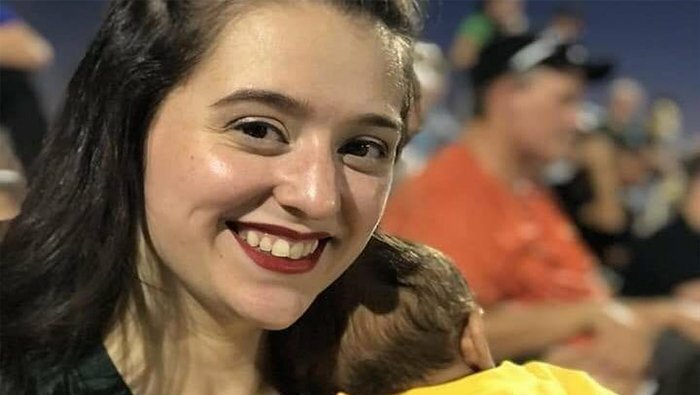 BULLHEAD CITY – Students, faculty and staff at Mohave and River Valley High Schools have scheduled back-to-back fundraisers on Friday, Nov. 9 to help the family of Rebecca Kate Acosta, a Mohave High classroom aide critically injured in a rollover accident late last month. Acosta remains hospitalized in Las Vegas in critical but stable condition since the October 21 crash. A barbecue dinner will kick off the fundraising at 5 p.m. inside the MHS cafeteria followed by a murder mystery, “An Open and Shut Case,” in the auditorium at 7 p.m. Tickets are $5 per person ($10 for both). Tickets will be available at the door for purchase. There will also be a bake sale in the cafeteria. ​In addition to helping Acosta with her mounting medical bills, proceeds will also help family members who have incurred lodging, food and travel expenses, as well as lost wages. One of those family members, Acosta’s mother, a Mohave High’s athletic department secretary, has been on leave by her daughter’s bedside since the accident. ​The fundraisers were organized by Mohave High School student council, drama and football students and faculty, as well as colleagues at River Valley. ​Acosta attended school in the Tri-State area, graduated from Council Grove High School in Kansas, and returned to Bullhead City. Mother to young son, Kayden, she recent joined the Mohave High staff this year. Kayden was not in the car at the time of the accident. ​A GoFundMe account has also been established under the Katie (Rebecca) Acosta Medical Fund.